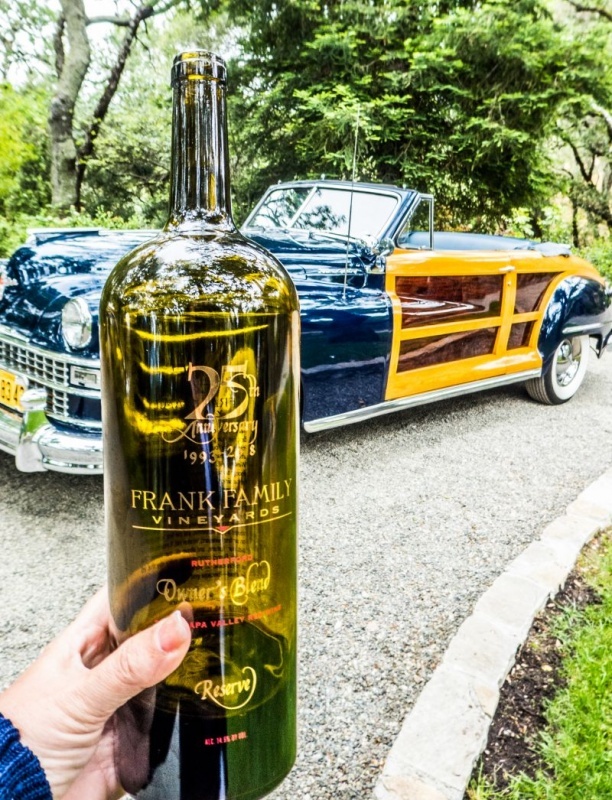 I was so pleased to be invited to the Frank Family Vineyards 25th anniversary celebration tasting and lunch. It was such a great event filled with a vertical tasting of their wines, interesting speakers, a fabulous lunch, and a tour of their vineyards. 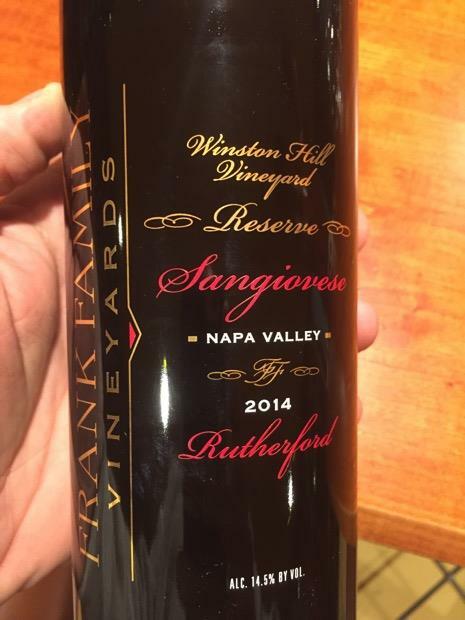 For those of you who don’t know, Frank Family Vineyards is owned by legendary Rich Frank former President of Disney Studios. You may have heard of one or two of the films he made which include Pretty Woman, The Lion King, and Aladdin just to name a few. His journey into wine started in 1992 after purchasing a vacation home in the heart of Napa Valley. He and his wife Leslie (a former Emmy-Winning anchorwoman and newscaster) purchased the original vineyards shortly afterward. 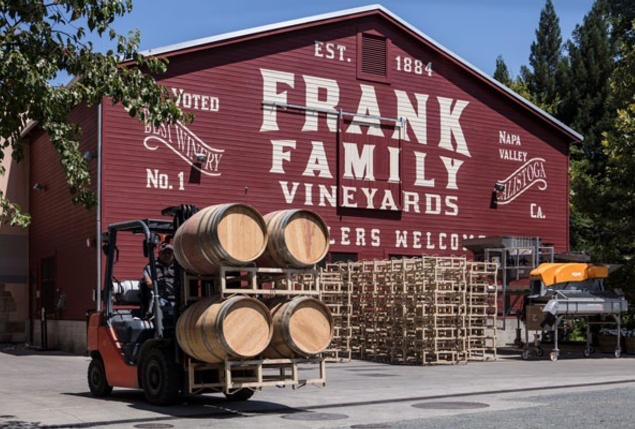 Over the past twenty-five years the Franks have expanded on that initial purchase and now have vineyard property all over Napa Valley. Their first vintage produced just two-hundred cases of wine. They now proudly produce more than seventy-five thousand! A group of trade and media sat down to enjoy a vertical tasting of ten wines. The wines started in the vintage year 1999 and went through odd years till 2013. The tasting was being led by Master Sommelier Andrea Robinson and attended by a whole host of rock stars of the wine trade. I really enjoyed tasting through the evolution of the wines and experiencing them in their maturity. I have to say, however, that I am really enjoying their younger wines that can be purchased in the tasting room today. They drink beautifully now or, as demonstrated, in the tasting they will age ten, twenty, thirty years or more. After the tasting, we were treated to a bus tour through the vineyards where general manager and winemaker Todd Graff spoke a little about each vineyard and what they produce. It was a fun group on the bus and we teased Todd about being able to retire and be a wine tour guide in Napa Valley. The vineyards are beautiful and it was amazing to see how much Frank Family farms. 25 years of hard work and experience in a bottle. Next was a trip up to Winston Hill and the beautiful 1920’s house on the hill. 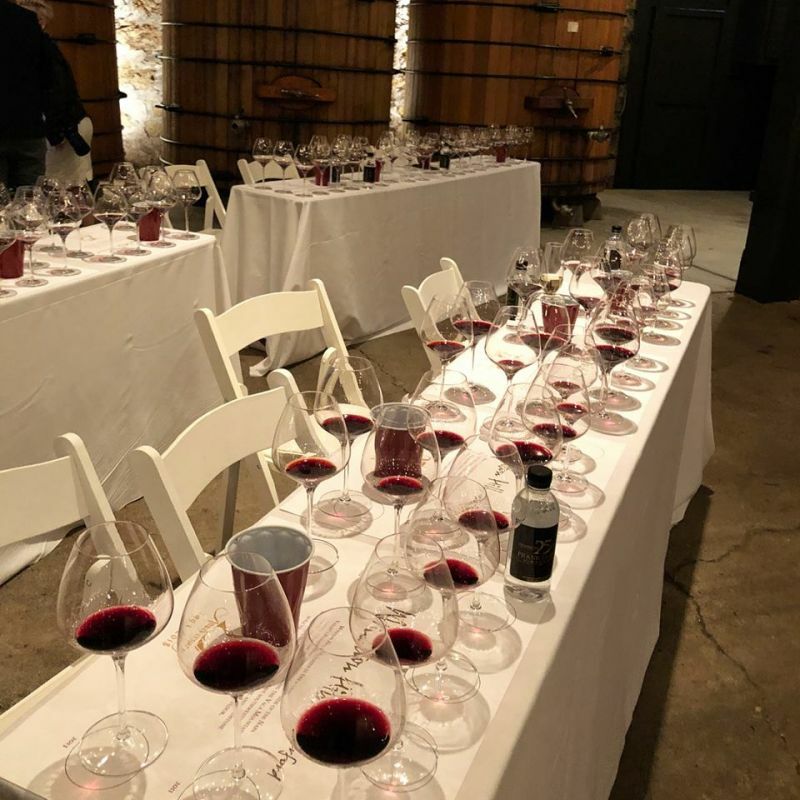 We were treated to lunch and tasting of their current wines including their “Owner’s Blend” a Cabernet Sauvignon-based wine that was created to commemorate their 25th anniversary. 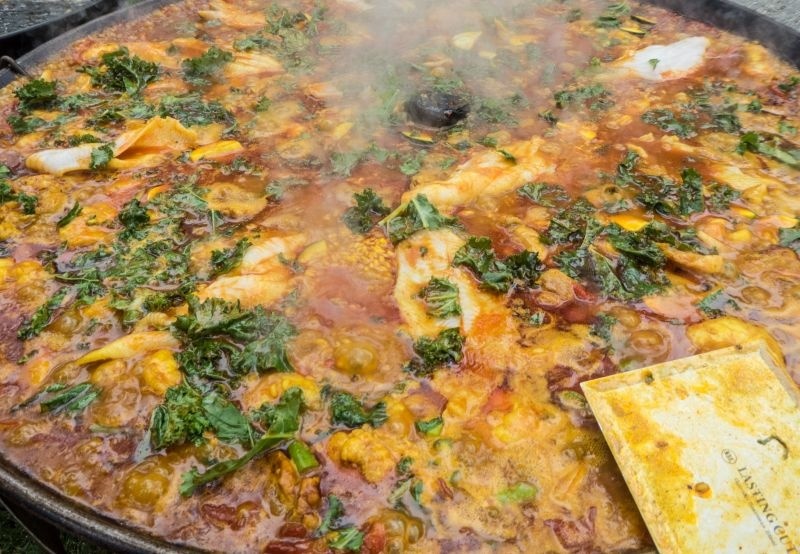 As we enjoyed our lunch of Paella, I found that my favorite sip of the day was the current release 2014 Winston Hill Sangiovese that was served with our meal. I am a huge Sangiovese fan, and I love its balanced fruitiness with great acidity. Perfect with lots of food dishes. 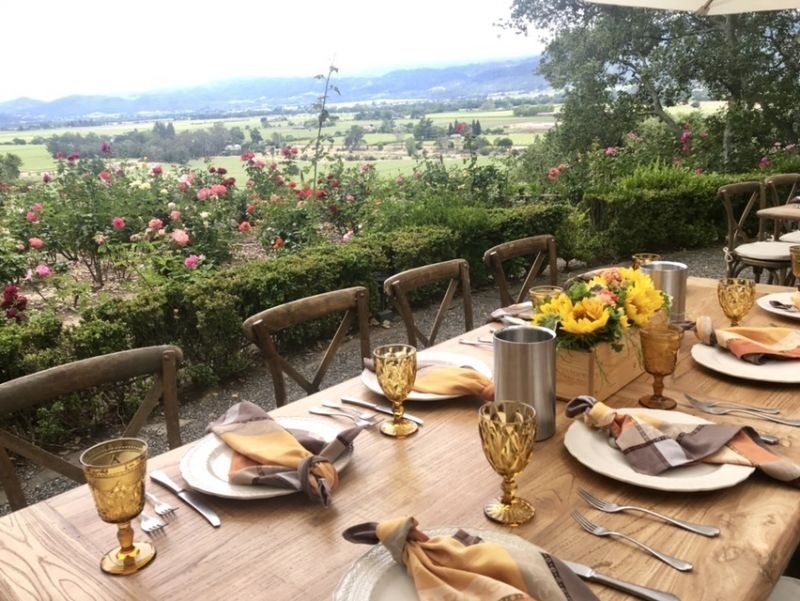 I love the warmth and hospitality that Frank Family Vineyards shows their guests. 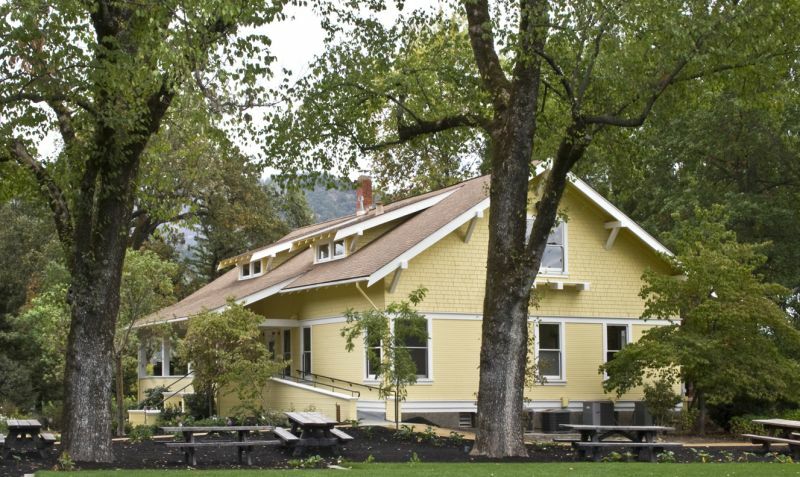 Everything from the yellow, old-fashioned house that has been converted to a tasting room, to the friendly welcome; Frank Family is a great place to visit and enjoy wines in Napa Valley. What are you waiting for? 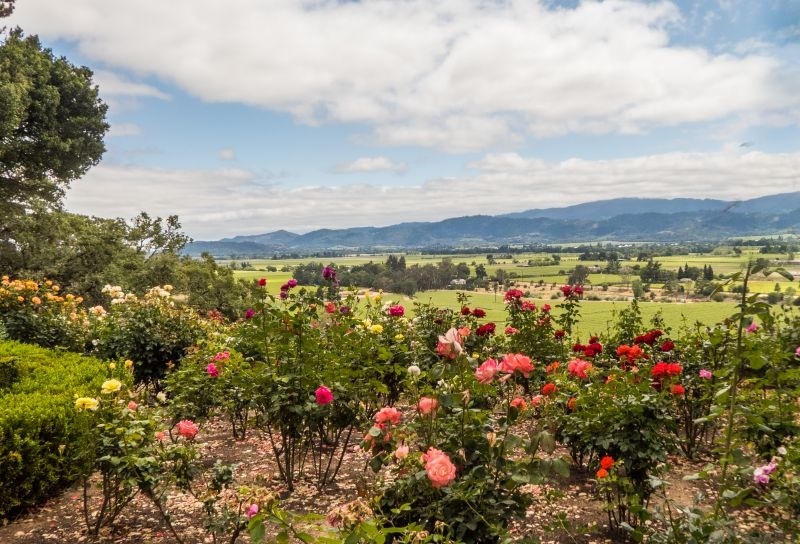 Go and experience Frank Family Vineyards for yourself! You will be happy you did.